Venice rises like a dream from the waters of the lagoon with its narrow, mysterious streets and captivating canals, arched marble bridges, and silent gondolas. Get the best of this dream city experiencing "Las Serenissima" - the most serene of cities - with us! 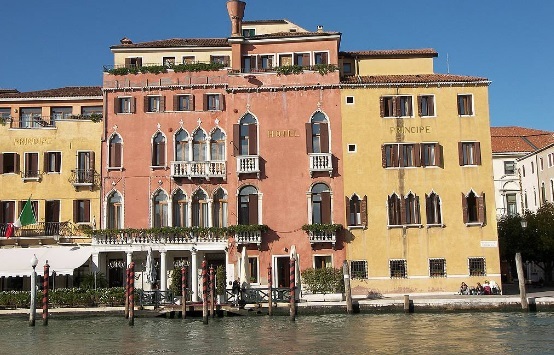 We include the tour of Venice to see its most famous attractions, an unmissable boat tour to see the Lagoon Islands, and roundtrip airport transfers. 3 Nights accommodations in a four-star hotel, based on the Hotel Principe or similar, with three breakfasts. Hotels are on a request basis and subject to availability at time of deposit and booking. Alternative hotels may be offered in same class booked where needed. Blackouts may apply during special events, celebrations, Easter, Carnivals, and Fairs. This package is based on a minimum of two (2) persons traveling based on sharing one double room. Single room can be booked, but only when single traveler is traveling with 2 other passengers sharing a double room. Airfare is additional. Airfare can be booked through our Vacation Builder in conjunction with this tour. Please note, the date you select for this package is the start date in Italy. Please book your air accordingly to allow for overnight flights. Note: airfare cannot be booked sooner than eleven (11) month from date of departure. Departure date is the date package beings in Italy. Transfers from Naples Rail or Naples Airport are included, however, transfer from Rome can also be arranged. Just ask your agent at time of booking.